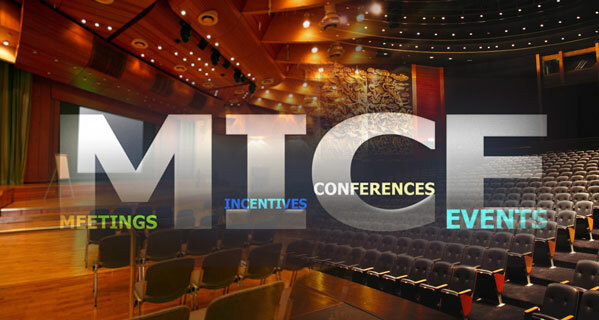 The MICE market globally is estimated at a size of US$280 $300 billion which includes around 400,000 conferences and exhibitions. Economies of many countries thrive on this sector. In the recent times the Asian MICE market has been one of the biggest growth stories with a rate of 38 per cent rise since 2006 which accounts for US$60 billion. Even with these impressive figures, India is one nation which is yet to hit the potential of this huge MICE business. Hotel brands/convention or meeting spaces that are coming up new are now focusing on the MICE segment and are designing spaces to cater to the requirement. As compared to the international market India lacks world class exhibition and conferencing venues; this alone is not the concern. We also lack amenities which include basic infrastructure, connectivity, safety, cleanliness and hygiene. Though the government is taking lot of steps in this segment in terms of taxation, public education, relaxation in FDI policy; but all these just doesn’t seem enough. Another major challenge is the higher taxation policies by the governments, which results in the business being given to the neighboring competitors. According to the ITB World Travel Trends Report, MICE contribution to the total travel market is 54 per cent. Taken from a report in 2015, North America has the largest market share, followed by Europe and Asia Pacific which is further bound to grow. India, shares only one per cent of the global market share. The target set by Government of India is to attain a share of 2% by 2025. In 2012, India was ranked 25th as a MICE destination in 2012, which now has been downgraded to the 35th position. India holds the position of the 10th largest business travel markets in the world. India has a lot to offer as one of the most lucrative destinations with its world heritage sites, culture and ethos, this is what needs to be highlighted and developed. One of the other challenges that MICE business faces are the trend of various corporate tightening their travel and conference budgets. As a result MICE is getting fewer responses as these corporates then use their in house meeting rooms and conferencing facilities. The changing dynamics in the global economic scenario, emerging economies in Asia and Middle East are now important business destinations. Indian economy too witnessed lot of investment in sectors like hospitality, healthcare, IT, manufacturing etc. India’s domestic MICE, market is quite strong and inbound MICE market is also picking up with a lot of active support and involvement from the Ministry of Tourism. Hoteliers are very positive that the MICE business in India will grow. MICE requirements are growing for different sectors, be it FMCG, telecommunications, BFSI, IT, healthcare and energy. The list is endless. Ministry of Tourism had adopted an aggressive approach to promote this segment. In fact, the new Tourism Policy which is to be released anytime soon has identified MICE as a major growth driver for the Indian tourism industry. The Ministry is also looking to extend the e -Tourist Visa initiative to the MICE sector. There are new developments to create global standard convention centers. In a recent development to the Ministry of Commerce, announced that Pragati Maidan is all set to go under re-developed and will be transformed into a world class convention center. MICE are a very niche product and needs to be marketed in a focused manner. While there are no hard and fast rule on attracting MICE clients, it is important that its needs a lot of support and assistance airlines, hotels, transport companies, cultural organizations, boutiques, and travel agents to target markets potential MICE clients.